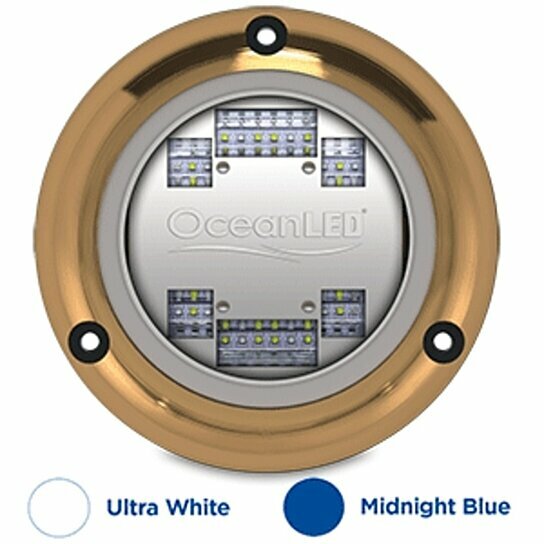 The OceanLED Sport series is the perfect choice for fishing and cruising in small to medium sized boats. Advanced optics, designed exclusively by OceanLED create an optically efficient 90°surface beam angle with a focused 20° side beam displaying a striking amount of water penetration and a significantly larger illuminated area. With twice the amount of LEDs as its competitors, the dual color S3124s is the leader in its class. Simply toggle the power between white, blue, strobe and fade modes.